This show was broadcast on August 16, 2014. Rick Shaddock, Professor Anthony Hall and other guests discuss 9/11 debate challenges! 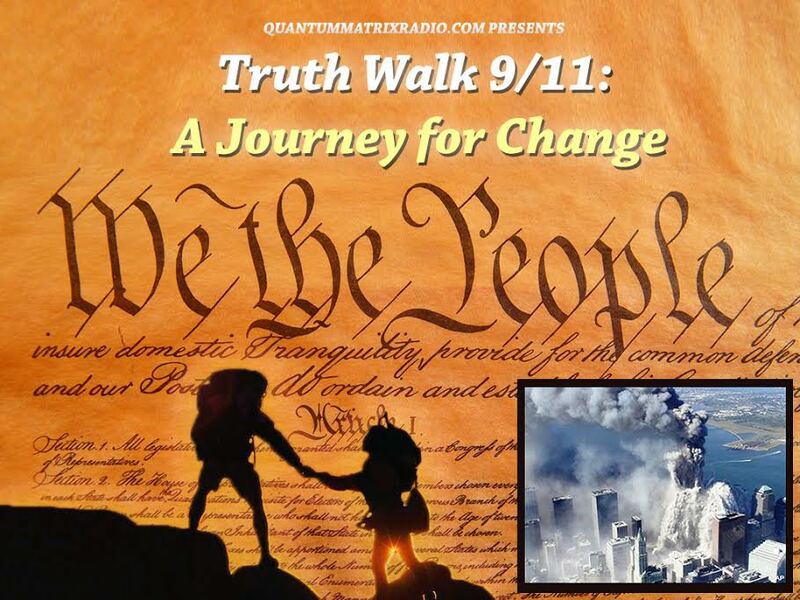 On today’s live show, we’ll discuss the history of 9/11 debate challenges with Rick Shaddock of the Association for Nine-Eleven Truth Awareness (ANETA) – and try to find someone to argue in favor of the official story. 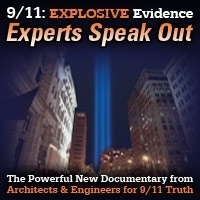 We’ll discuss AE911Truth’s debate challenge and billboard challenge to the New York Times. In the second hour we’ll bring on Jim Fetzer and Globalization Studies professor Anthony Hall of the University of Lethbridge to talk about academic freedom and the Orwellian suppression of 9/11 truth. We were hoping that some guy named Frank McLaughlin from the anti-9/11 truth site JREF will show up to debate Rick Shaddock during the first hour. Rick is a “computer professional for 9/11 truth” who has been trying to find a qualified JREFer willing to debate either physicist Dr. David Griscom or himself. Frank, who like Rick is a computer professional, at first appeared willing to debate – but then started generating endless excuses for weaseling out. Will Frank show up? Or will Rick have to debate an empty chair? 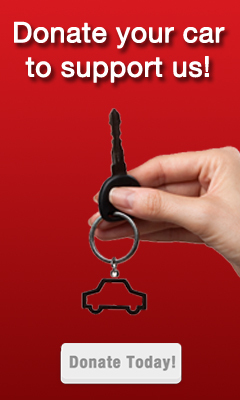 Tune in and find out! I take these debate challenges personally. 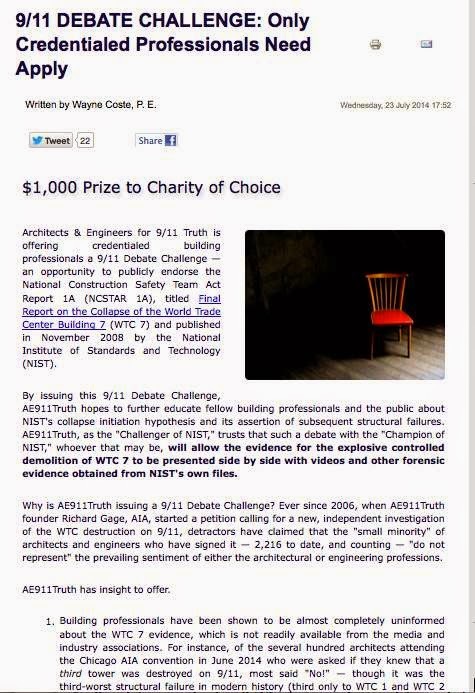 Having been politically blacklisted from teaching in American universities, starting with the “sifting and winnowing” University of Wisconsin, I issued the first-ever $1,000 9/11 debate challenge several years ago. My point: If the University refuses to employ me due to my interpretation of 9/11, it needs to show why my interpretation is not only wrong, but so egregiously wrong that it makes me unemployable. Yet not one of the thousands of teachers in the UW system will defend the 9/11 Commission’s “19 hijackers” myth in a debate – even for $1,000 (since doubled to $2000). This entry was posted on Saturday, August 16th, 2014 at 7:49 am	and is filed under 9/11, Anti-War, Censorship-Propaganda, Disaster Capitalism, Econo, False Flag/Fake Terror, Justice, Kevin Barrett, Martial Law, News, Protest, Surveillance, War Crimes. You can follow any responses to this entry through the RSS 2.0 feed.